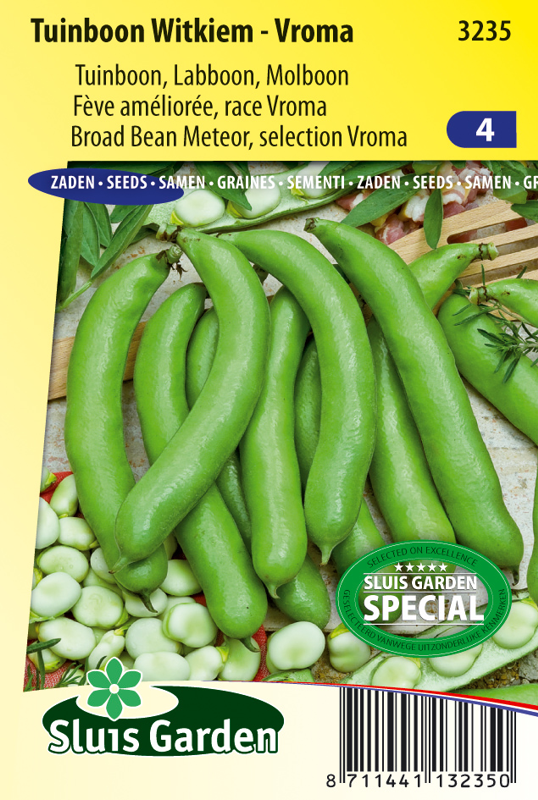 Vroma is an iImproved Broad Bean Meteor with a highly regular fruit setting. Healthy, very early and richly yielding plant. Produces colourful blooms. Brown on cooking, which gives the clear broad bean flavour. Young broad beans taste the best. As the lower pods form, break the top of the plant to restrict damage from aphids. Pre-sow in a greenhouse in pots for an early harvest. 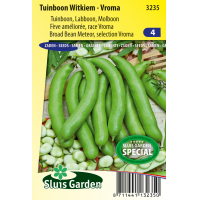 For a later harvest sow in the garden at a row distance of 40 cm with a bean every 10 cm. Plant has good resistance to cold. It is a bush bean, so support is not necessary.